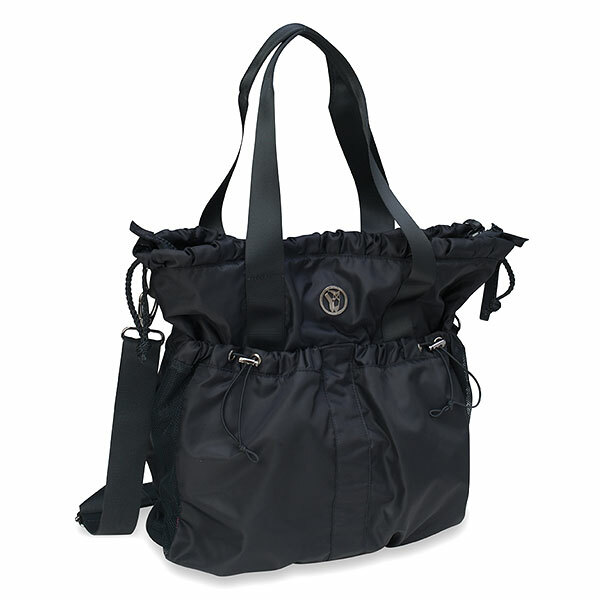 Features: Soft durable microfiber fabric bag features four roomy colorfully lined exterior pockets. Two with toggle pulls and mesh vents, two with zipper pulls. Main compartment features a zipper closure and a gathering toggle pull. 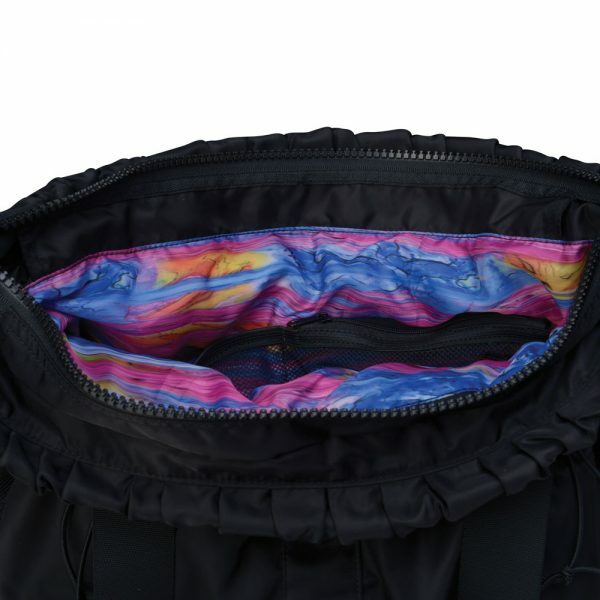 Interior features a colorful lining with a large zipper pocket and two mesh pockets. Adjustable shoulder strap.